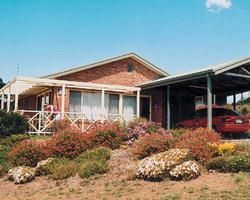 Enjoy your favorite activities year-round with Australian timeshares for sale at Mansfield Country Resort. 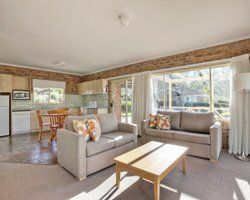 Located in the foothills of the “Australian Alps” of Victoria and featuring two well-known ski resorts and a recreational river, this area is a vacationers’ paradise. Ski downhill and cross-country in winter, and fish, waterski, hike, and more in spring, summer, and autumn. 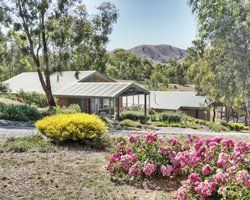 Mansfield Country Resort has an ideal location on the shores of beautiful Lake Eildon and ideal timeshare accommodations to match. 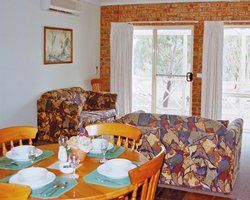 Close to all area activities, the resort features comfortable two-bedroom, two-bath holiday apartments, with covered carports. A full kitchen complete with oven, microwave, refrigerator, and dishwasher makes dining-in easy. The large living room with TV, DVD, CD Player/Stereo, Video Player/Recorder, is a great family retreat. Spend quality time with family and friends in the furnished and terraced outdoor living space. Keep the inside temperature just right with heating and air-conditioning, ceiling fans, and window ventilation. Resort amenities include laundry facilities, a convenience store, and internet access in public areas. You’ll enjoy activities for all ages at Mansfield Country Resort. 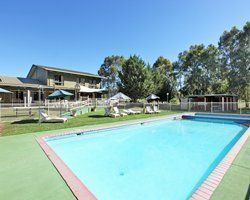 Vacationers love the large, heated, outdoor swimming pool, spa, and sauna. Children delight in their own swimming pool and playground. Perfect your skills on four lighted tennis courts, a squash court, and a driving range. Join the kids for a round of Mini Golf or some competitive fun in the Games Room. Grab a rod and reel and head to the fishing pier, or leisurely kayak around the lake. End a perfect day with a walk along the lovely lakeshore and a family barbecue. Contact Mansfield Country Resort Specialist Today! Took a wonderful 4wheel drive trip into the high country of the Australian bush and saw many native birds and animals. We also went walking around the Jameson River in the bush. This is a terrific resort in the Australian countryside fronting a lake with individual units for privacy and space. The local town has marvellous cafes and restaurants and the mountain ski resorts are close by. From Mansfield our children learned to snow ski, water ski, sail, swim and ride. We have exchanged throughout Australia and New Zealand multiple times and Fiji, France, Italy, Switzerland, Scotland, Wales, Florida, 4 different Greek Islands, 3 Hawaiian islands and had wonderful experiences and made wonderful friends. We are keeping 2 weeks of our 4 weeks owned as we love our timeshare resort.